Serial No 25 Command and Staff Course commenced amid an opening ceremony held at Army Command and Staff College (ACSC), Shivapuri on April 16, 2018. Chief of Staff (COS), Lieutenant General Hemanta Raj Kunwar, the chief guest of the ceremony, delivered the inaugural remarks during the ceremony. Earlier, Major General Pralhad Thapa, the Commandant of the ACSC, delivered the welcome speech. 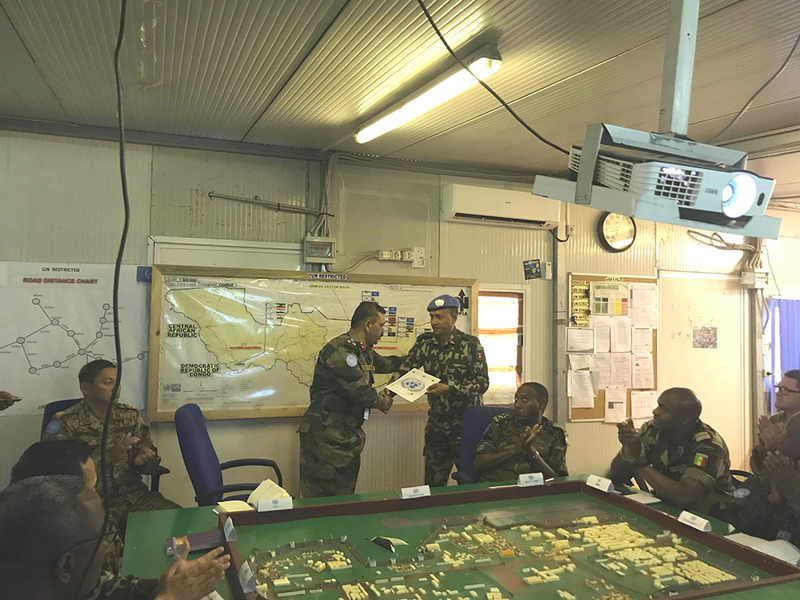 A total of 62 student officers, including three officers from sister security organizations (one officer each from Nepal Police, Armed Police Force (APF) & National Investigation Department (NID)) and eight officers from friendly nations (one each from Bangladesh, China, India, Lebanon, Maldives, Pakistan, Sri Lanka, United Kingdom and United States of America) are attending the 45 week long, intensive and rigorous course. 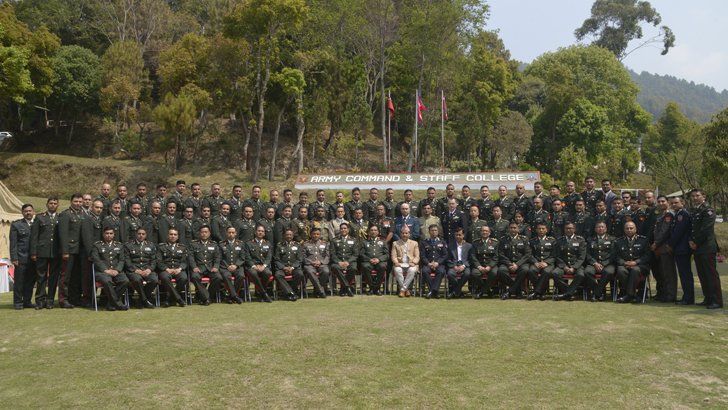 Since its establishment in 1992, the ACSC has been conducting the Army Command & Staff Course annually and till date it has successfully graduated a total of 923 student officers, including 63 international student officers, nine Nepal Police officers, 12 NID officers, one officer from Ministry of Defence and 23 APF officers. Present on the occasion were Inspector General of APF, chief of NID, representative of Tribhuvan University (TU), , serving Generals of NA, former Commandants of the college, residential Defence Attachés, media personnel, faculty members and spouses of the student officers.